The top pick in this year’s NHL draft, Aaron Ekblad, suffered a concussion Monday night during Canada’s world junior summer development camp. Ekblad is expected to make a full recovery and be ready in time for the Florida Panthers’ open training camp in September but will miss the remainder of Canada’s camp. 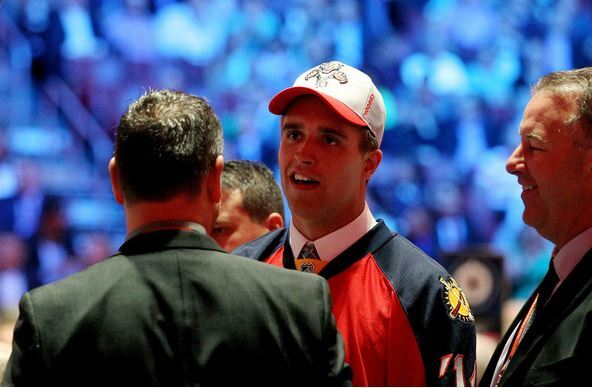 At only 18-years-old, Ekblad was a star for the Barrie Colts in the Ontario Hockey League. The defenseman is expected to make the Panthers’ roster this season.